I have enjoyed drumming since I was around 5 years of age if I recall correctly (I am currently 45, I know but what are you going to do?). I was introduced to drumming by my father Pat on his SONOR trap set that he used with his band the Malibu’s in high school. I have recently improved my home drum studio with better mic preamps and cables and converted to a pc based recording system from a Roland studio in a box . I have done various recordings in the past both in a physical studio with a band or in my home studio as part of a collaboration project via the web. 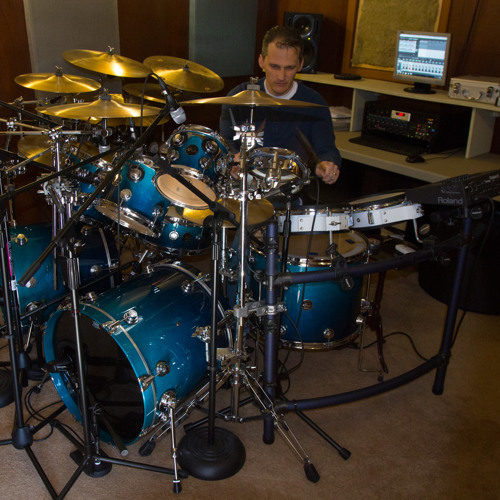 I thoroughly enjoy playing the drums and especially creating fresh tracks for music in the Progressive Rock genre. I have above average skills on the kit, can keep a solid tempo and can balance rhythm with unique accent effects and fills. I approach the drumset as a complete musical instrument in the purest sense.